This weekend continues with one of Lake Chelan’s most beloved and anticipated events, Winterfest, so we thought it’d be appropriate to boast about our many year-round events. Winterfest arrives just as the holidays wear off and those mid-winter blues start settling in. Nothing lifts the spirits of both locals and tourists like an evening spent at the ice bar dancing to live music or an exhilarating plunge into frigid Lake Chelan. Spanning two weekends, Winterfest gets us out of our winter hibernation with fun, warmth and community. 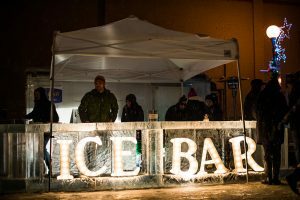 This weekend, you’ll experience Alefest, ice sculptures, live music, karaoke, s’mores and so much more! It’s a pretty big deal, if you ask us. But Winterfest isn’t the only event Lake Chelan has to offer. It’s a common myth that living in a small town means that there isn’t much to do. Perhaps it’s true of other communities, but Lake Chelan defies expectation. On top of the regular hustle and bustle of the summer months, there is always something going on in the valley, and there’s a little something for everyone. The car enthusiast will enjoy kicking off the summer season with Cruizin Chelan. Take in the display of gorgeous classic cars parked downtown and take part in the annual BBQ competition! The whole family is sure to enjoy cruising the town for this one. If you’re a wine lover, we’ve got you covered throughout the year. And one of our favorites is right around the corner! Red Wine and Chocolate in February celebrates love (and wine, duh), so grab your loved one, or your best girlfriend, and indulge in some amazing wines paired with equally amazing chocolate. It’s the perfect winter getaway. Wine tasting has never been sweeter! Lake Chelan Crush spans two weekends in October, celebrating harvest season. 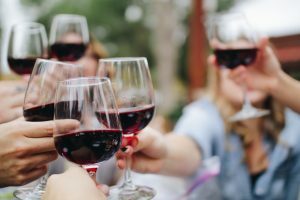 Get a taste for the winemaking process and you’ll be sure to appreciate that glass of Merlot even more than you already do. You can even get a hands-on (or should we say feet-on?) experience with wine stomping at select wineries. There’s also Spring and Fall Barrel Tasting so you can get a taste of your favorite wines right out of the barrel! Music lovers can enjoy a week of performances by accomplished musicians at Bach Fest. Musicians come from all over the Northwest and spend one blissful week creating beautiful music in our valley every summer. The Bach Fest string quartet plays at various wineries throughout the week, so pack a picnic and enjoy dinner with some lovely serenades. There are mid-day performances at different locations and there’s something for all ages! There are also choral, orchestral, and jazz performances throughout the week, ending in a free Pops Concert at the Riverwalk Pavilion at sunset you won’t want to miss. In November, you can experience the beautiful celebration of Dia de los Muertos, the Mexican holiday honoring deceased loved ones. 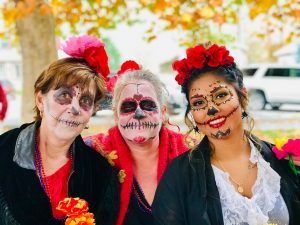 Bring a photo to place on the altar and don’t leave without getting a sugar skull face painting or catching the parade downtown. There’s music and dancing and an overall celebration of life and the ones we’ve lost. There’s also the Fine Arts Festival in August, the Earth Day Fair in April, and more. The Lake Chelan Chamber of Commerce keeps an updated calendar of all the valley’s upcoming events. You’re sure to find one that suits your interests and deepens your love for the valley. We know we have. If we haven’t convinced you that there’s never a dull moment in Lake Chelan yet, you’ll just have to come see for yourself!